Toyota RAV4 Boot Space, Size, Seats | What Car? Front leg and head room are fine but, if you’re really long in the leg or body, you might want to try the CR-V, which is slightly more spacious overall. The RAV4's interior is broad, so you won’t feel your passenger encroaching into your personal space. There are lots of storage options, too, including a reasonable-sized cubby under the front armrest, decent-sized door bins, a couple of cupholders and trays in the dashboard, for items such as keys or a mobile phone. 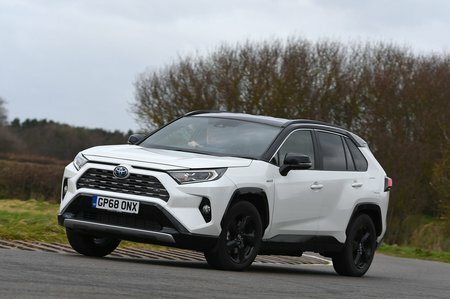 The RAV4 is a big car, dwarfing the likes of the Nissan Qashqai and Seat Ateca, so you aren’t going to be haunted by groans of discomfort from your rear passengers. True, the limo-like Honda CR-V is even more accommodating, particularly when it comes to leg room, but the RAV4 is roomier in the back than the Mazda CX-5. As we mentioned at the beginning, there isn’t a seven-seat option for the RAV4. 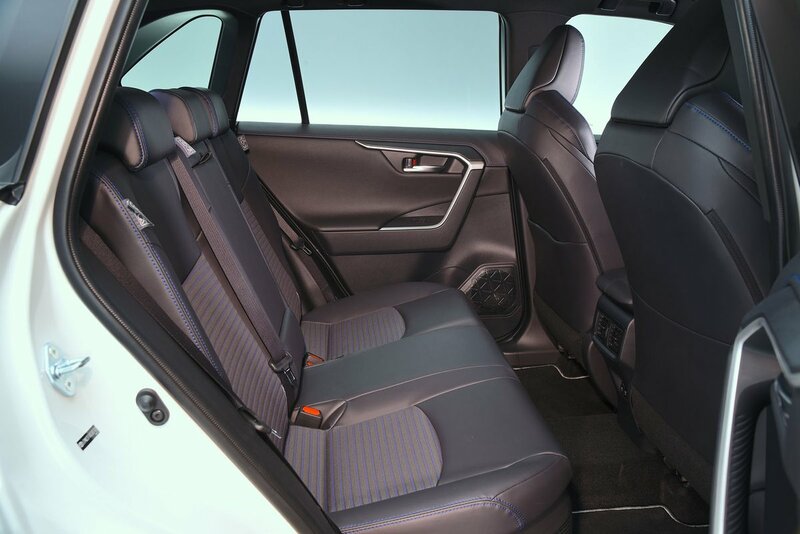 If you could do seating for more than five people, consider the brilliant 5008, or altogether larger options such as the Hyundai Santa Fe. A lot of rivals in this class come with sliding and reclining rear seats, but the RAV4’s recline only. They are also split 60/40, which doesn’t offer the greatest flexibility when it comes to seating passengers while carrying longer or bulkier loads. A better option is the 40/20/40 split you get in a CX-5, for example. Another feature missing from the RAV4 is a set of handles in its boot to unlock and fold the rear seats. You get these in the CX-5, CR-V and 5008, and they’re a nice addition if you’re at the boot and realise you need more space. 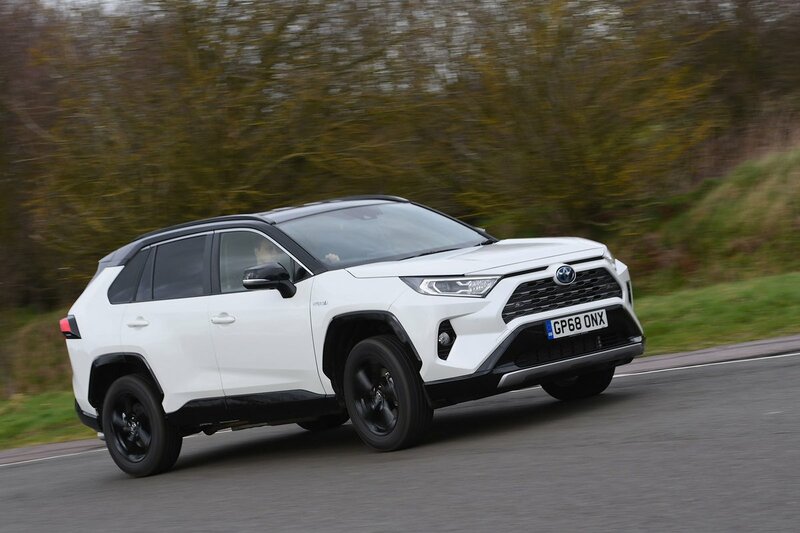 In the RAV4 you have to put down whatever it is you’re trying to load, walk round, open the rear doors and release the seatbacks by pulling levers next to the rear headrests. It’s a small detail, sure, but these can often make all the difference. The Toyota RAV4 boasts a bigger boot than most of its rivals. In our tests it managed to swallow an impressive 10 carry-on suitcases below is tonneau cover with the rear seats in place, which is one more than the CR-V Hybrid managed and two more than the CX-5. You can, of course, fold down the rear seats when you need extra space – this creates an enormous load bay that's perfect for an impromptu trip to the tip. However, the rear seatbacks lie at a slight angle; this isn't a major issue but the CR-V Hybrid has a flatter extended load area.